If you own your own website then you have undoubtedly already heard of the importance of SEO, or Search Engine Optimization. The higher your SEO ranking, the more likely people will be to see, click on and visit your site. 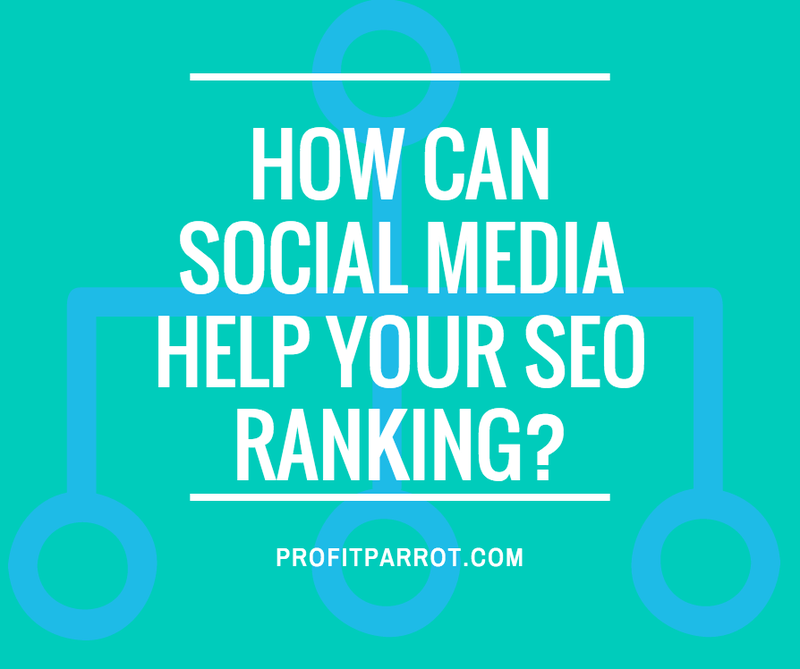 There are lots of different ways in which you can increase your SEO ranking, however, one of the most overlooked ways is through the use of social media. But how exactly does using social media help? How Can Social Media Help Your SEO Ranking? To start, social media profiles have high ranking potential. So, by creating a through and thought out profile for your business, you increase your chances of search engines finding your social media business profile and placing it at a fairly high spot on results pages. Then, potential customers/clients can use your social media profiles to find their way to your business website. Another way in which social media can help you with SEO ranking is by the number of followers you have. For example, if you have a large number of followers, search engines will recognize it and take it into account, thus ranking your profile higher than they otherwise would have. However, with this it is important to note these followers need to be genuine followers, (i.e. followers “gained organically”), as most search engines are able to tell if followers where bought or multiple accounts where created in order to appear as if you have a larger number of followers than you actually do. Finally, the last and arguably most important way social media can help, is through giving you more exposure overall, thus leading to an increase in external sites linking to your website. After all, the more people you have seeing and linking back to your content, the more credible your site will appear and the more attention it will receive from search engines. However, with this it is important to realize your content itself must also be of quality — nobody will want to link to content that doesn’t offer anything of value. It should be clear that social media should in no way be overlooked when attempting to increasing your SEO results. However, it should also be noted that social media is a great marketing tool for your business in and of itself, helping to connect with customers on a personal basis, conduct research and so much more. Basically, social media is a tool that will be invaluable in numerous ways to the growth and success of your awesome business venture. Should You be Using Google+ for Marketing Your Business?